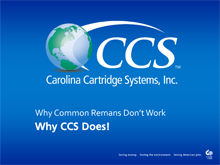 Here are some Tips and Tricks that we've learned over the years. 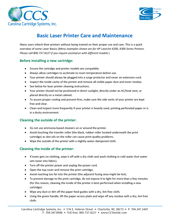 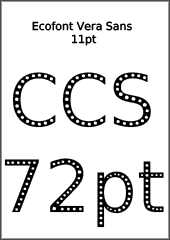 Printers have contacts that must make a connection with specific places on the laser toner cartridge. 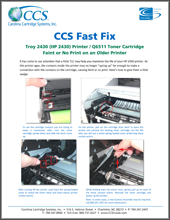 Sometimes, the springs in older printers will become weak, causing faint or even no print. 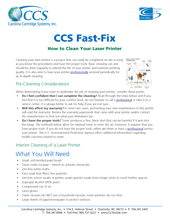 Here is a fast fix to keep your "workhorse" printing for years to come. 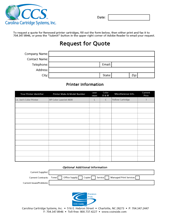 If the cartridge you are looking for isn't listed on the product pages or if you don't know what cartridge fits your printer, just fill out this PDF form and we will get back to you with a price, usually the same day! 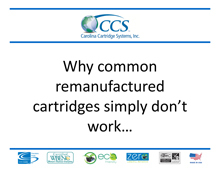 An updated presentation showing how Carolina Cartridge is different than your common cartridge remanufacturer.